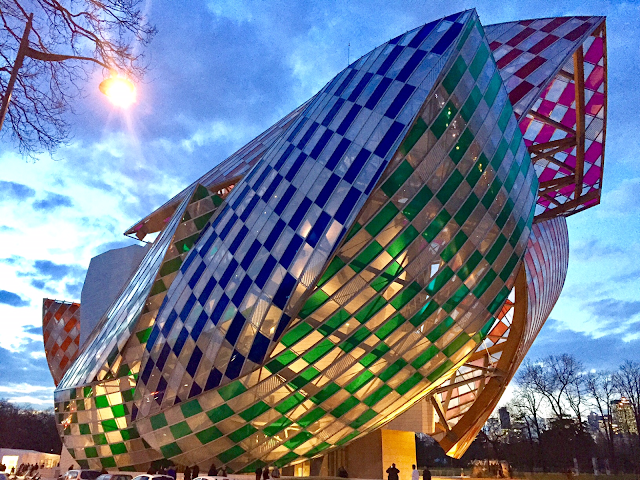 In collaboration with Frank Gehry, artist Daniel Buren created twelve "sails" that combine with the daylight and create a play of colors, projections, reflections, transparencies that contrast both inside and outside. 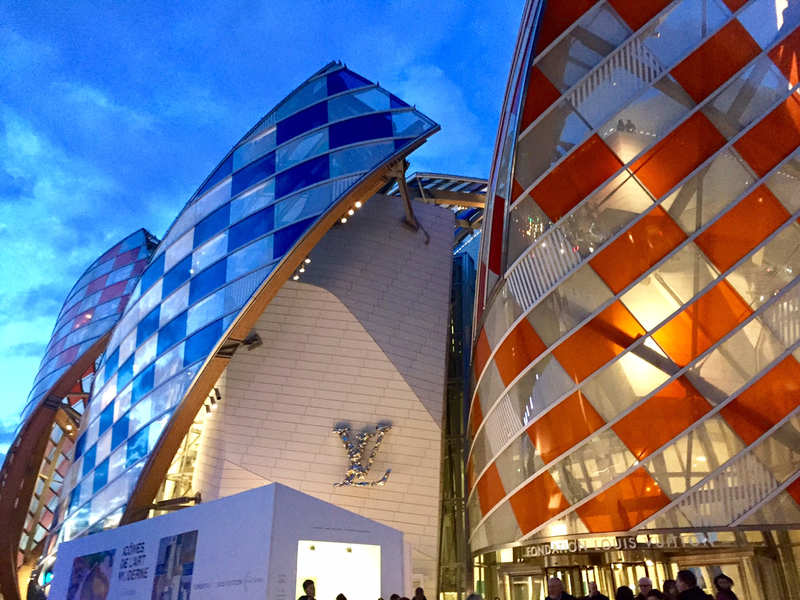 At the wishes of LVMH CEO Bernard Arnault, Fondation Louis Vuitton was created to promote art and culture, adding to what the brand has been doing for the past 20 years. 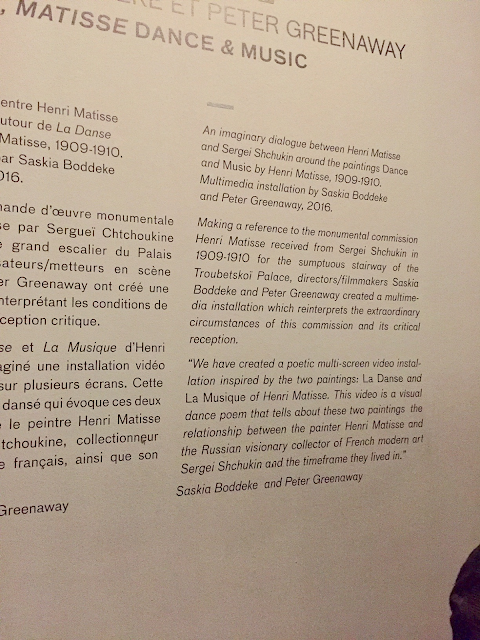 Their aim with this building is to support and promote contemporary artistic creation. 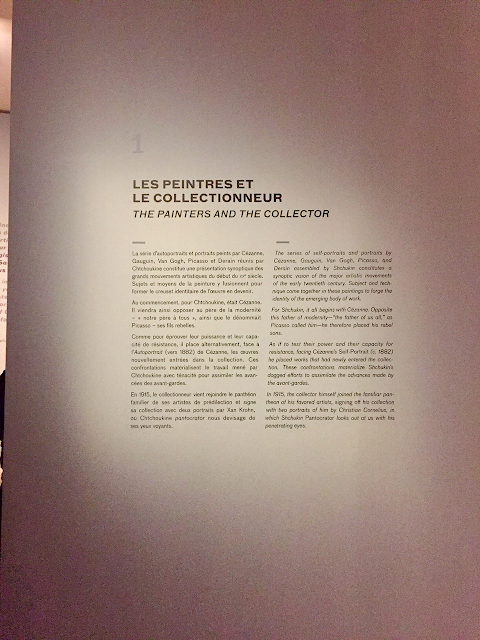 The institution features temporary exhibitions of modern and contemporary art that are brought twice a year. 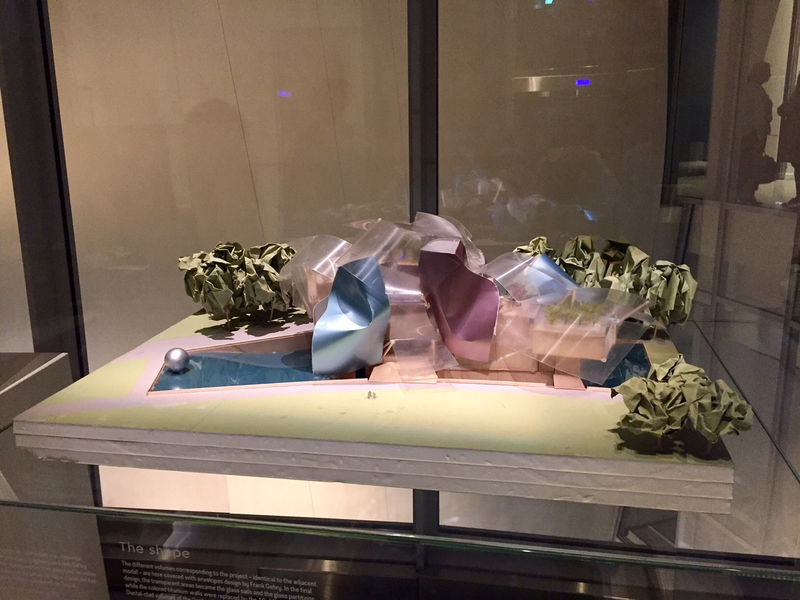 They also feature "Architectural journey: Frank Gehry, la Fondation Louis Vuitton" as a permanent exhibition. 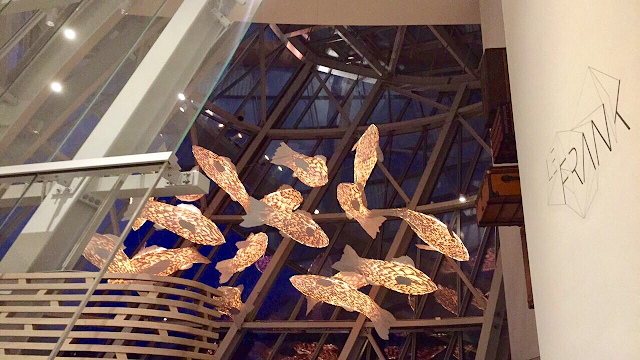 This explores how the building was created and brought into fruition by designer Frank Gehry. 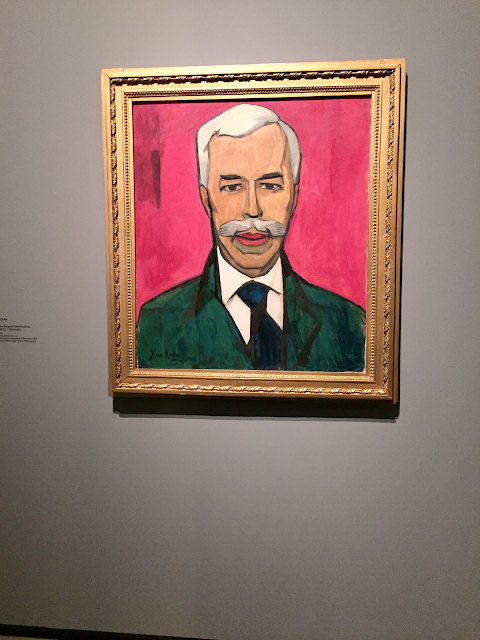 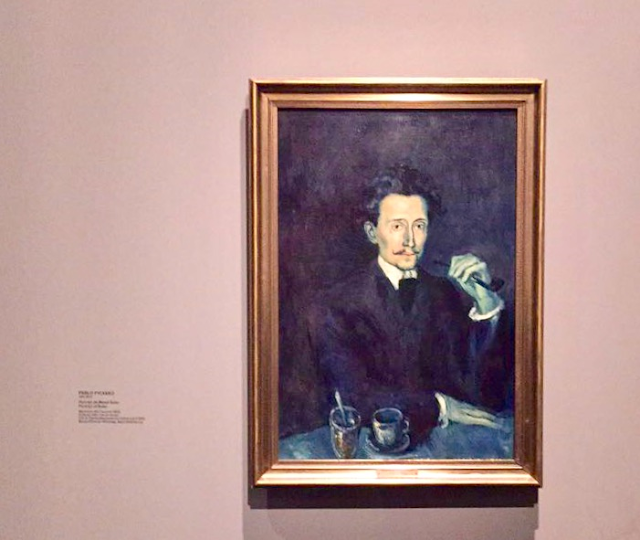 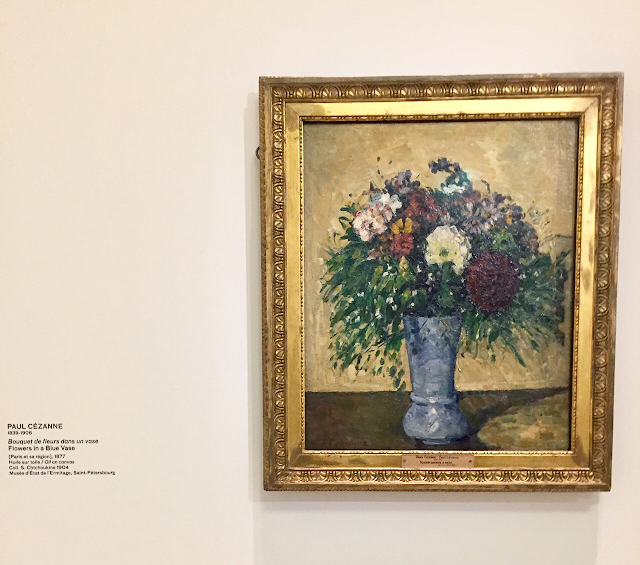 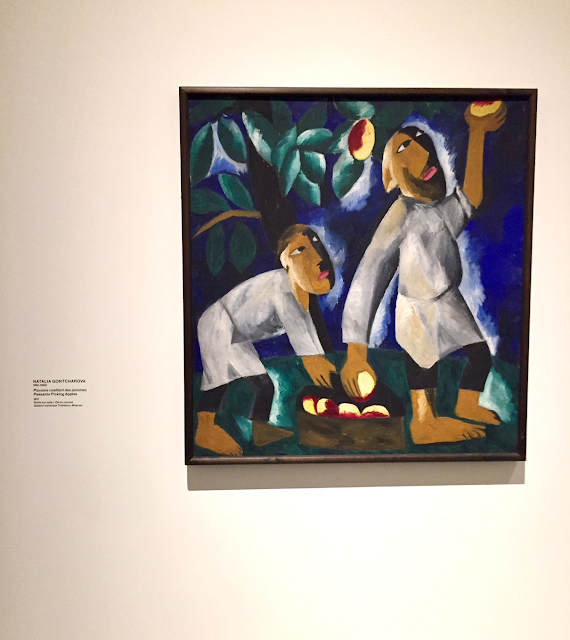 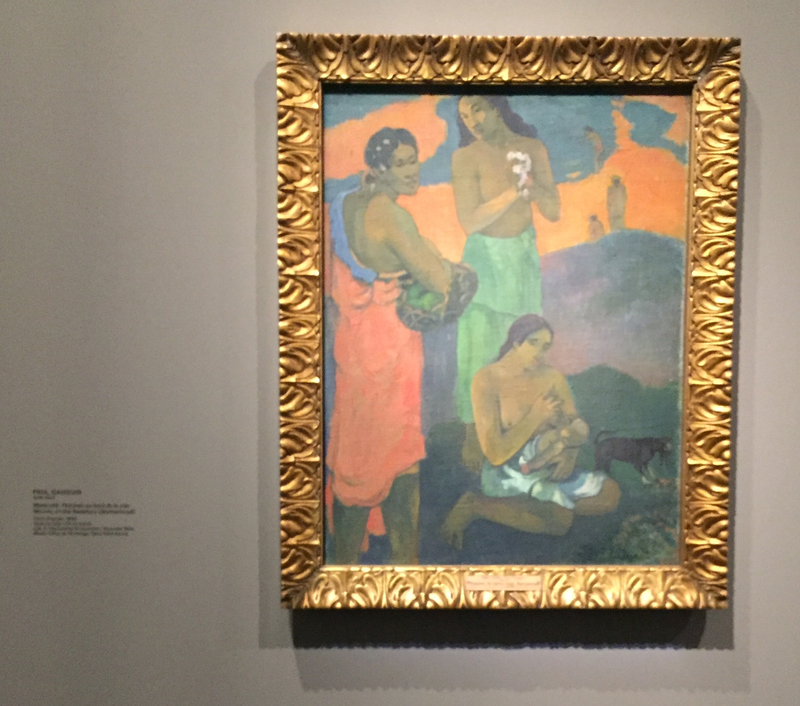 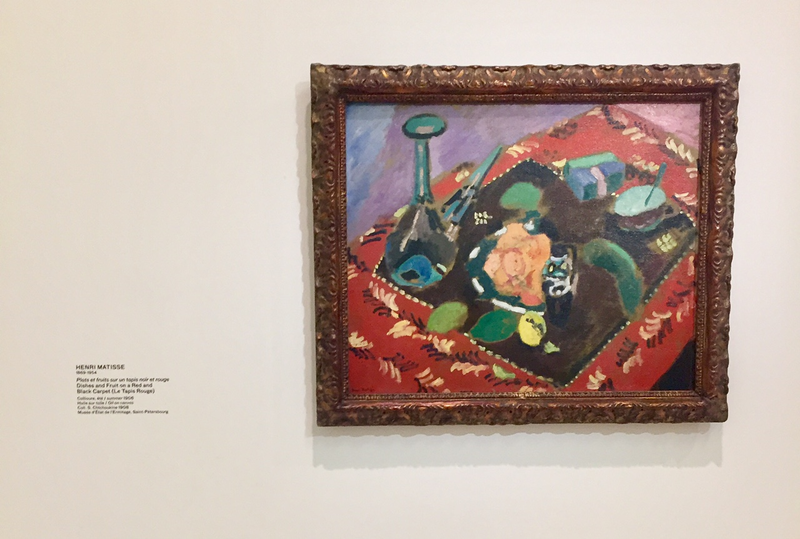 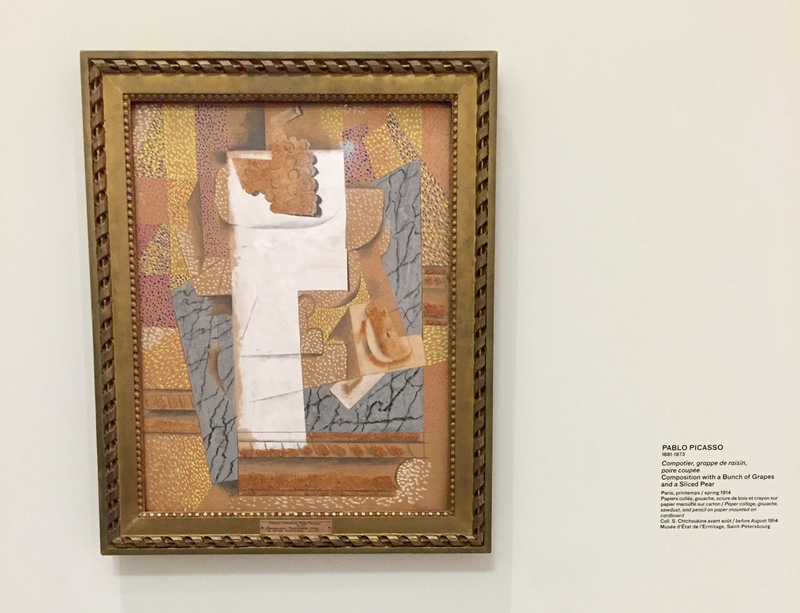 During my visit, I was able to see Icons of Modern Art: The Shchukin Collection, which honors Sergei Shchukin, one of the 20th century's greatest collectors of French modern art. 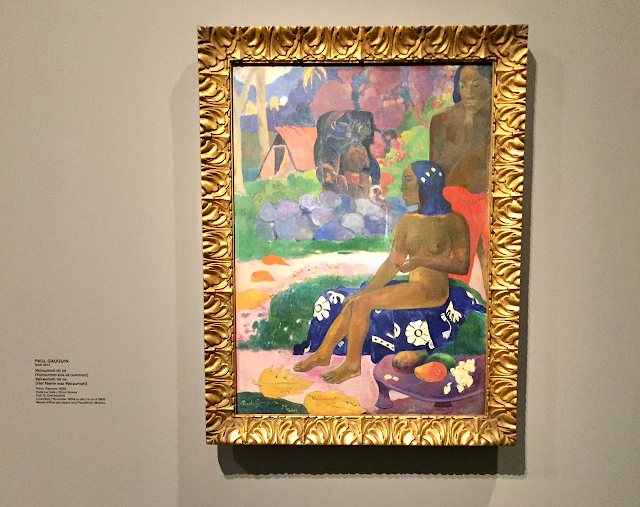 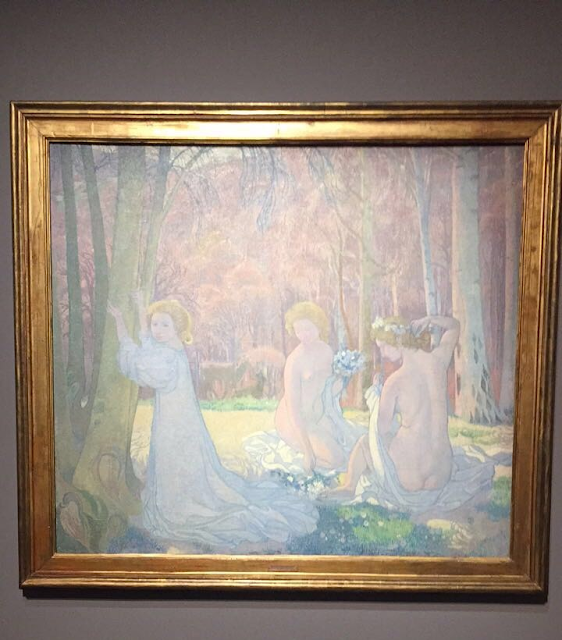 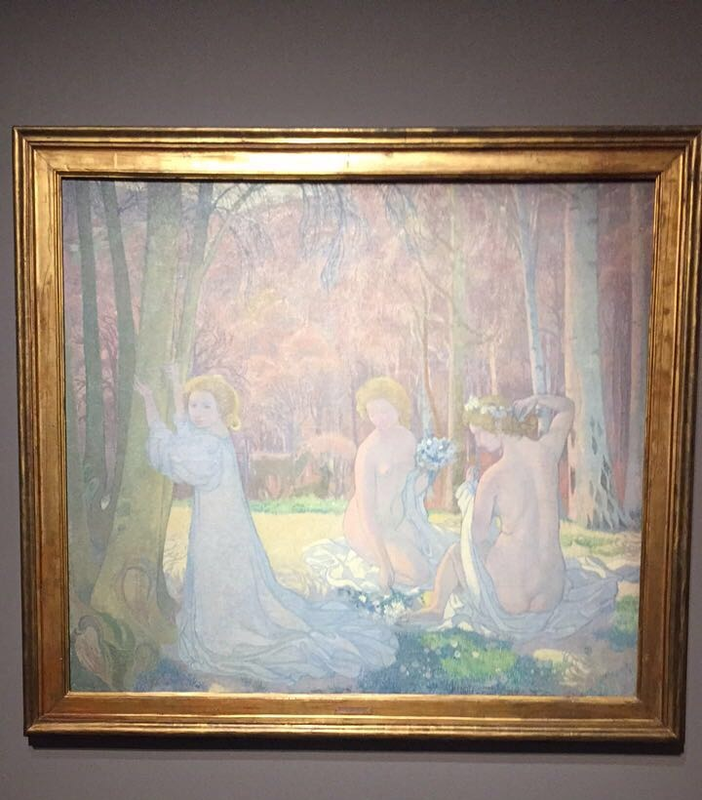 His collection included the works of Monet, Matisse, Picasso, Gauguin, Cézanne, Le Douanier Rousseau and Derain. 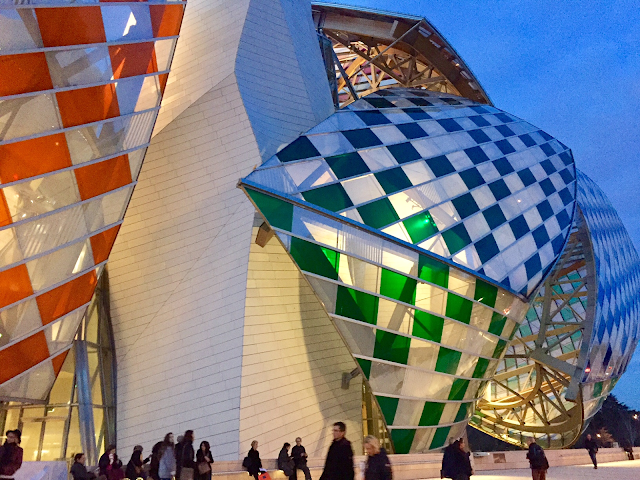 I also was able to experience Daniel Buren's "Observatory of light" (the colorful architecture on the building combines with the light to create projections and more). 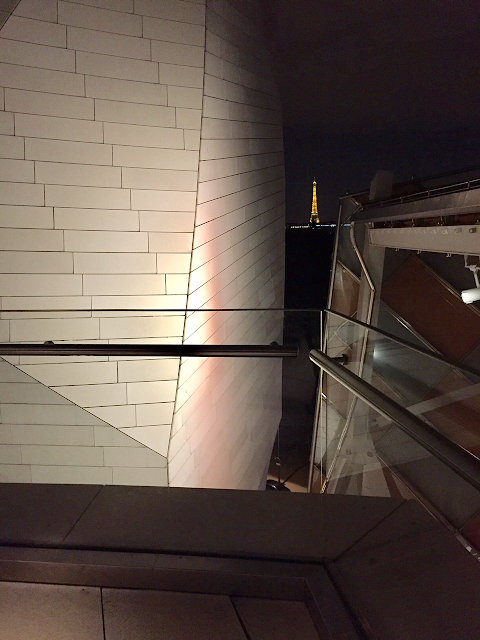 There's even an outdoor observatory for you to get a great view of the city of lights. 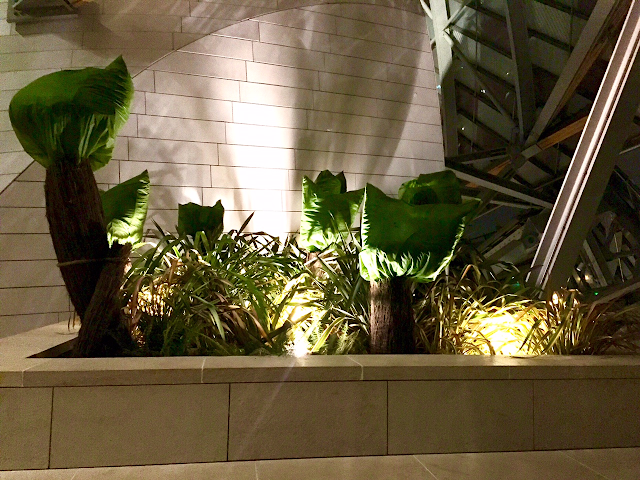 If you have a peek through the right corner, you can catch a gorgeous glimpse of the Eiffel Tower! If you love art and are in Paris or planning a visit soon, do yourself a favor and make sure to check out Fondation Louis Vuitton. 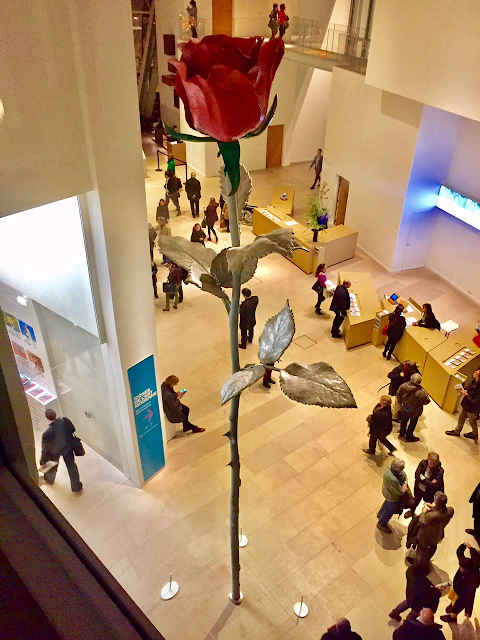 It's popular and packed so I suggest an early arrival to give yourself time to experience everything. 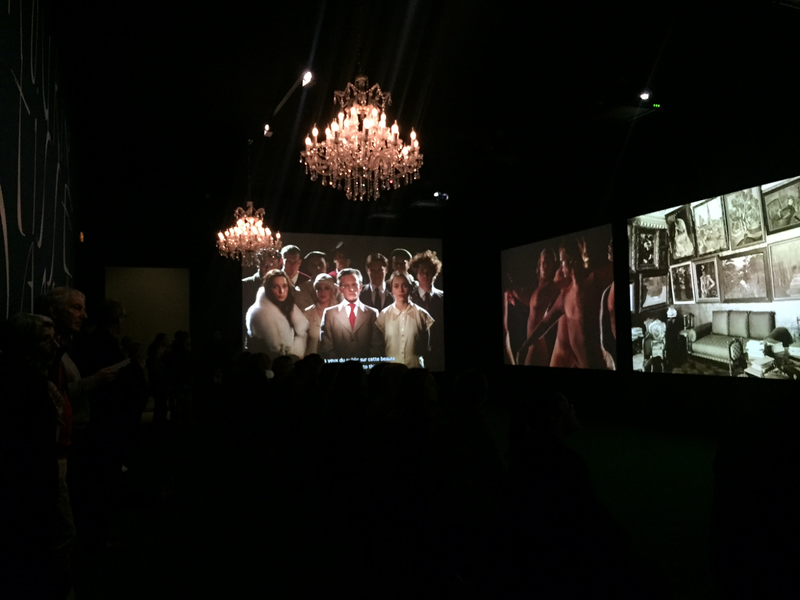 There is so much to see and it's curated marvelously. I was a guest of Fondation Louis Vuitton but all opinions are my own.